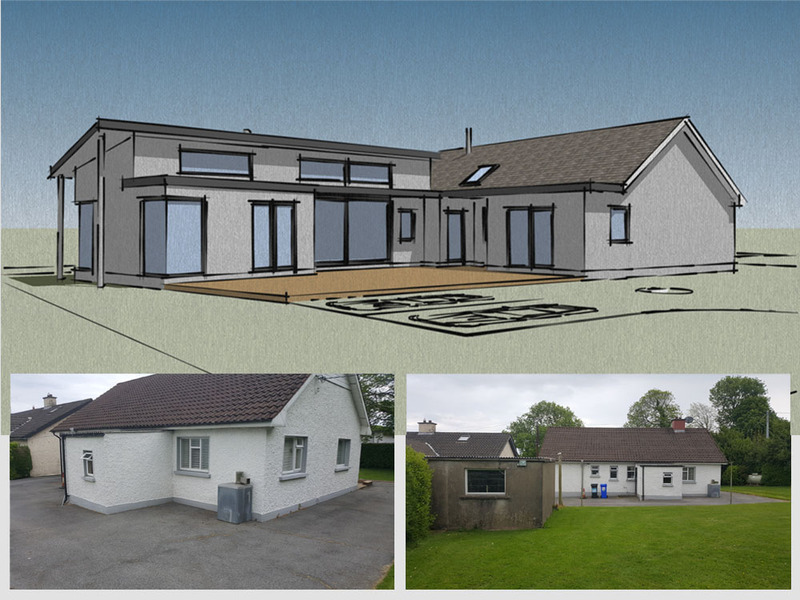 The project involves updating a modest detached single storey dwelling with large rear garden in the middle of Wexford town. The clients were looking to retain the 3no. 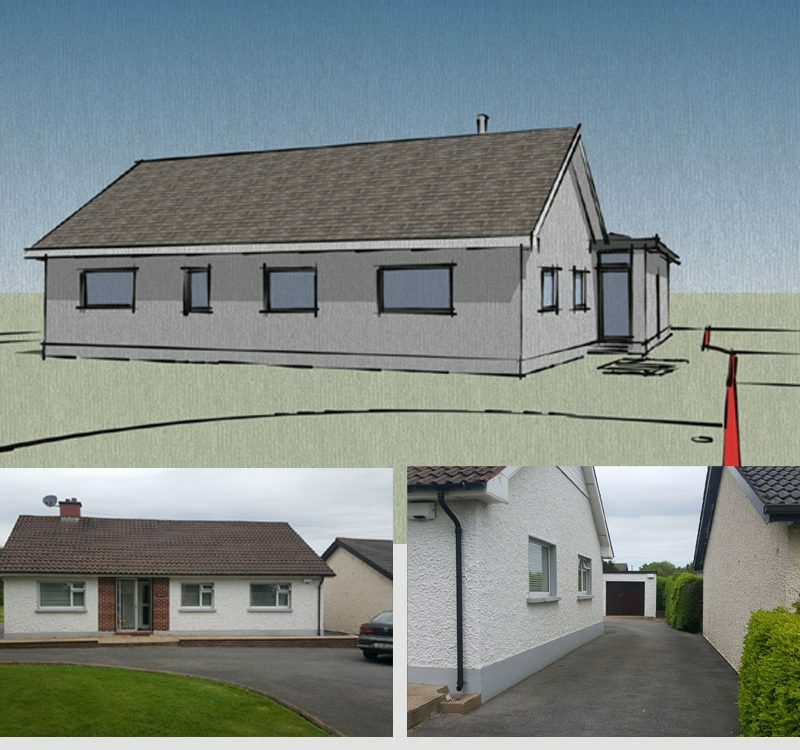 bedrooms in the existing dwelling and add a kitchen, living room, dining area, separate sitting room, office and utility room with external access. 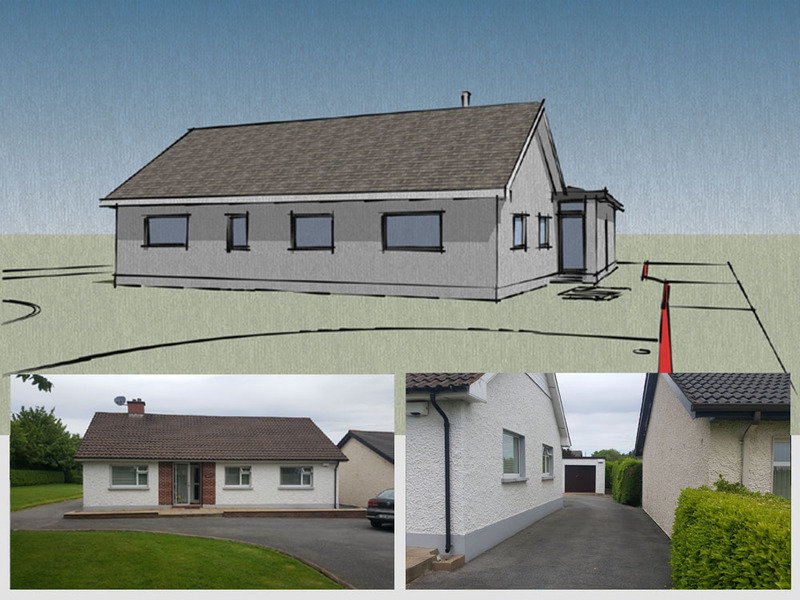 The design involves re-organising and renovating the existing dwelling to included 3no. bedrooms, sitting room, main bathroom & office. 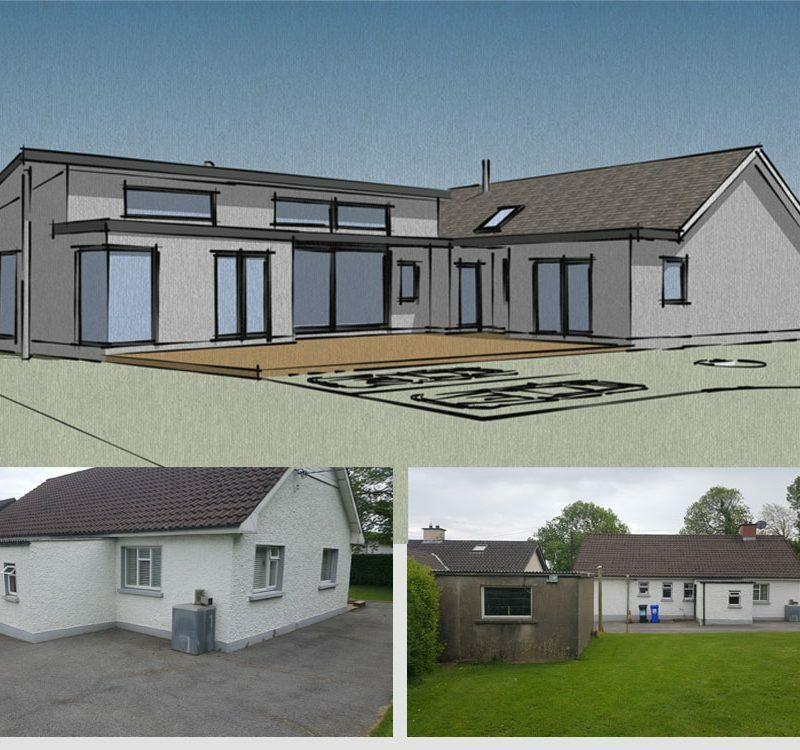 A generous extension to the rear incorporates a kitchen, dining area & living area with a utility room, WC and entrance hall. 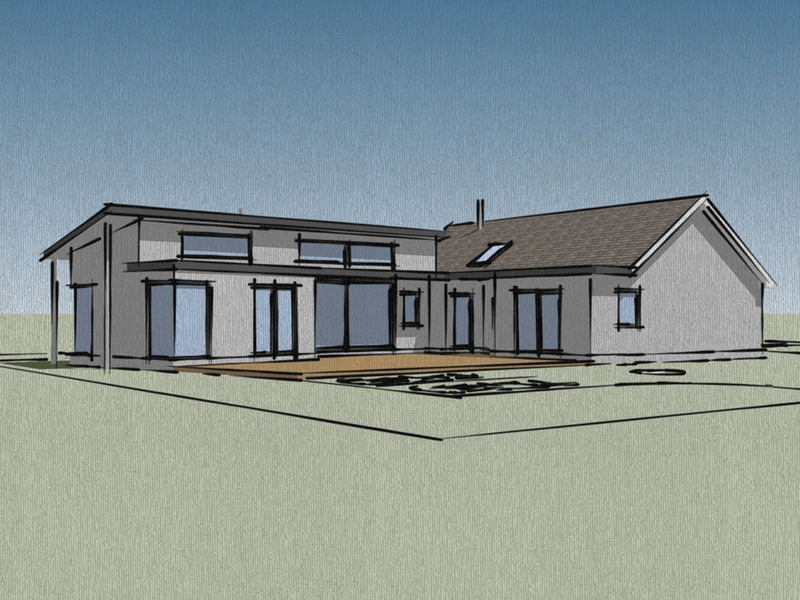 The position of the extension to the rear creates a south-west facing paved area, ideal for evening use. 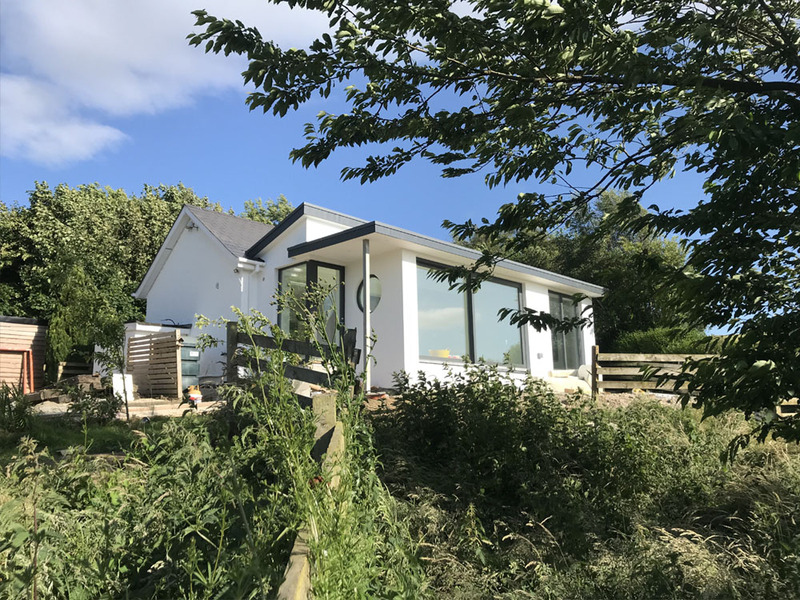 Large glazing to the extension allows vast quantities of light into the kitchen, dining & lounge area whilst also providing access to the paved area from these spaces.